Deadpool is a fictional character with an agenda. This mercenary’s outlook is always what’s best for himself – though he’s gathered a huge following because he’ll help either side and he’s not afraid to make enemies. It’s no small wonder that this character is liked by kids and adults alike. 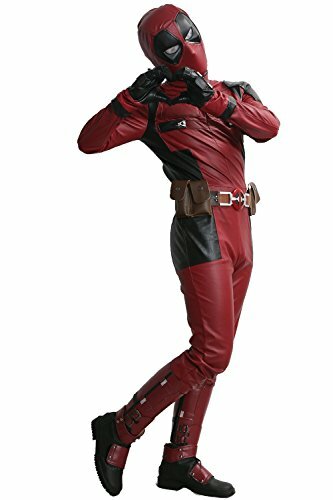 Deadpool is one of the most top rated Halloween costumes this year. You can find a pretty big selection of Halloween costumes dedicated to this character. One of them is the spandex whole bodysuit for kids. The suit is snug fitting but can be worn by either a girl or a boy. It’s red with black markings just like the one worn by the character. This costume will come with the headpiece attached since it’s a full bodysuit. Since it zips all the way up the back, you can’t detach this headpiece. It does sometimes tend to run a bit small with the sizing so order the next size up from what your child actually wears. You can also get this same type of suit for adult men or women. It has the same markings and also zips up the back. Just like the child’s costume, the headpiece is usually attached. Most people worry about whether or not they’ll be able to breathe with the headpiece on, but it’s made from breathable material so that’s not an issue. Since the costume is spandex, it will keep the wearer warm – so keep that in mind. 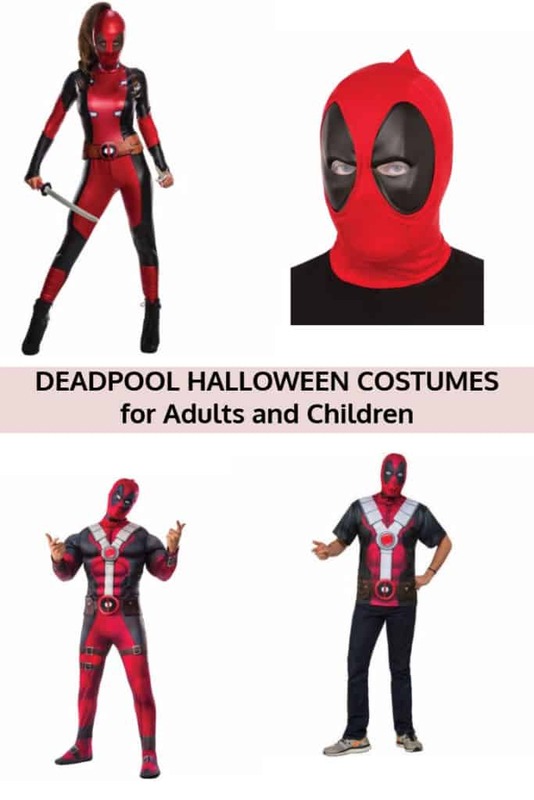 There is a Wade Wilson version of the Deadpool costume for children. This one isn’t made of spandex. Instead, it’s made of a faux leather. It also comes with gloves. You can expect to pay more for this version of the costume and though you can find it all the way up to a child’s size 16, you won’t find this particular version in any adult size. 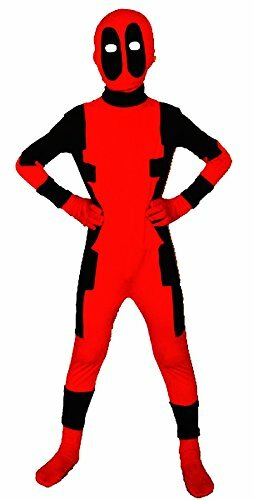 However, there is an adult costume in a different style that’s made of spandex and comes with the wraps attached so that it appears Deadpool is wearing an accessory belt. If you want to buy an accessory belt that’s separate for kids, you do have that option. Like most heroes and anti-heroes, Deadpool comes with his own accessories apart from the costumes. One of the most popular accessories is the knee-high shoe and boot covers. These add greater detail to the costume whichever variety you buy. The covers go across the top of the shoe while the knee-high portion has a zipper up the side, which makes the width a little easier to fit. You can also get Deadpool’s weapons to add to the costume. If you get the kit, you’ll get a couple of ninja swords along with ninja knives. The set usually comes with a back sheath for carrying the weapons. This kit is often designed to fit kids or adults.